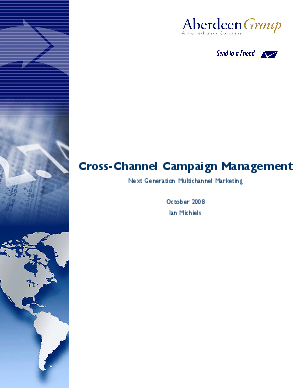 This report identified how top performing organizations leverage and execute multichannel marketing campaigns. The findings demonstrate how Best-in-Class organizations are leveraging a collaborative cross-channel approach to extract maximum value and marketing efforts. Aberdeen used four key performance criteria to distinguish Best-in-Class companies and each shared several common characteristics. Using Aberdeen's Research Benchmarks, a comprehensive look into process, procedure, methodologies, and technologies with best practice identification and actional recommendations is provided. Read this report for all the details.